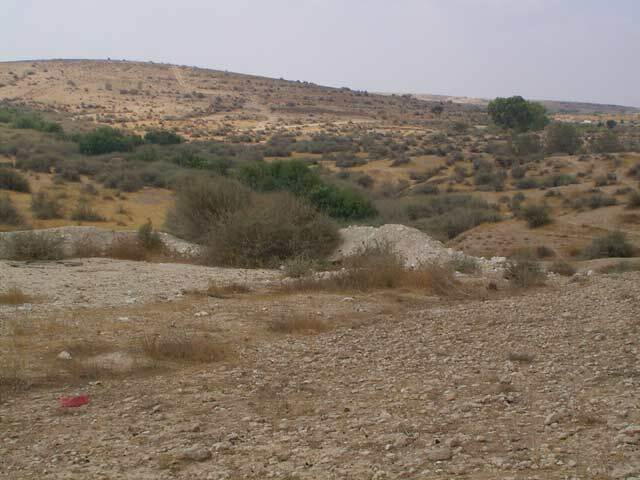 During July 2007, an archaeological survey was conducted in the Be’er Sheva‘ Park, west of the city, near the zoological gardens (Permit No. A-5172), in an area designated for foresting. The survey, undertaken on behalf of the Israel Antiquities Authority and underwritten by the Jewish National Fund, was directed by F. Sonntag and N.S. Paran, with the assistance of S. Gal (GPS). 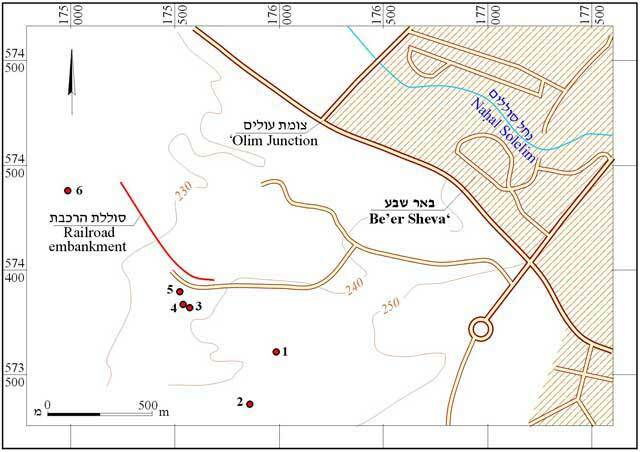 An area of 750 dunams was surveyed in the Nahal Solelim basin. This is a region of gentle chalk hills that are covered with loess soil and are crossed by ravines with desert flora (Figs. 1, 2). The survey area is delineated in the north by the railroad embankment that was constructed in the Ottoman period (Fig. 3). The southern part of the area is covered with trees planted by the JNF. 1. NIG 175986/573609; OIG 125986/073609. Watchman’s hut (5 × 5 m). 2. NIG 175859/573361; OIG 125859/073361. Two structures (farm? 15 × 15 m). 3. NIG 175567/573821; OIG 125567/073821. Structure (4 × 6 m). 4. NIG 175542/573833; OIG 125542/073833. Structure (3 × 3 m). 6. NIG 174987/574381; OIG 124987/074381. Small stone mounds (Bedouin tombs? 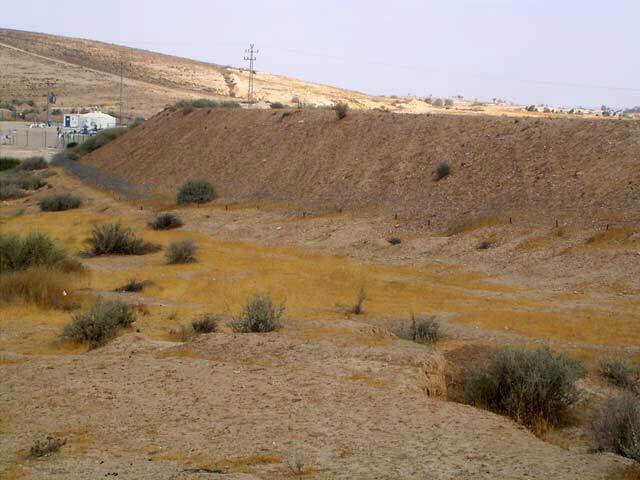 ); encampment site and potsherd scattering (30 × 30 m). The potsherds collected at each of these sites were all dated to the Byzantine period. They are consistent with other finds—a farmstead and agricultural installations—known in this region, which was the agricultural hinterland of Be’er Sheva‘ during the Byzantine period. 2. Terrain characteristic of the survey region, looking west. 3. The railroad embankment, looking southeast.